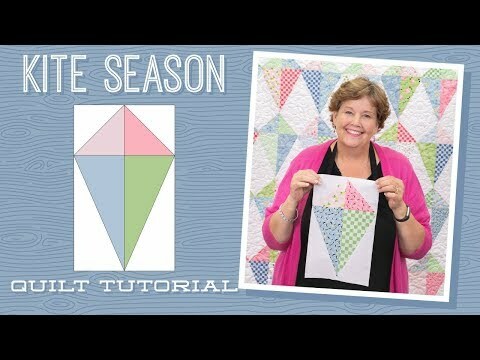 Digital Download - Kite Season Quilt Pattern by Missouri Star - Missouri Star Quilt Co. - Missouri Star Quilt Co.
Can you feel a fresh breeze blowing? Kite season is here so grab your favorite co-pilot and head for the hills! This playful quilt features easy-to-assemble half-square triangles and rectangles arranged to look like a traditional diamond kite in bright, beautiful colors. Pick up your favorite pack of print 10" squares and a pack of 10" contrasting background squares and watch your project take off!